There are many changes you can perform to enhance the efficiency of your home’s central air conditioning system. Putting on the ceiling fan, which costs minimal to run, can make you feel cooler. Shutting curtains and blinds in the warmest part of the day is a simple way to reduce the needs of your central air conditioner. These little steps can add up. But you won’t see huge savings unless the central air conditioning unit is operating at peak efficiency. The following info from AC experts will surely help you. As the season goes on, shrubs, trees branches, and the likes can begin to take its toll on your outdoor central air conditioner system. As a result, that can disturb the effectiveness of the condenser. Remove debris from around the system and keep vegetation at the very most 2 feet away. It’s also imperative to clean indoor grills and filters every month. Turning up the thermostat a single degree could remove 3% to 5% from your AC costs. 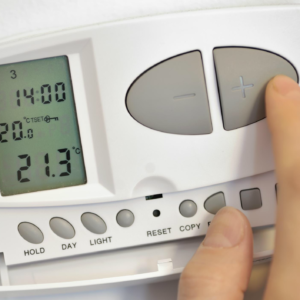 If your residence doesn’t have a programmable thermostat, think on making the upgrade. By automatically changing the temp when you’re sleeping or gone away for a long period of time, the tool will pay for itself in a just a few years. 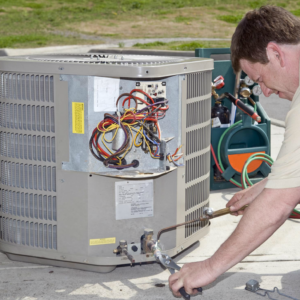 Every year, get a licensed AC service professional to do a comprehensive inspection on your air conditioning unit. These maintenance checks are usually done twice a year. In the Spring to prepare for the cooling season. And again in the fall to prepare for the heating season. You should also ask them to look at the ductwork, in particular, if your AC bill has increased from its normal amount. Up to 40% of energy can leak through damaged or uninsulated ducts. And if your house also has forced-air heat that utilizes the same ductwork, fixing leaks and adding insulation can pay for itself quickly. 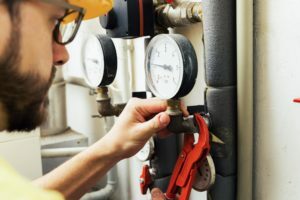 Finally, having a maintenance agreement with a professional HVAC company will help to find issues early before they become costly problems.